Warner Bros. is eyeing actor-director Ben Affleck to helm its long-awaited live-action Justice League movie. 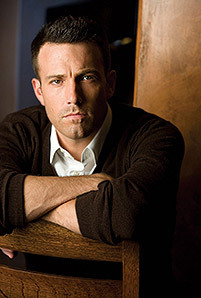 Affleck directed WB’s The Town to commercial and critical success, and just completed the studios upcoming biopic Argo. As an actor, Affleck is well acquainted with the superhero/comic book universe. He played a comic book artist in Kevin Smith’s Chasing Amy (1997), Marvel’s popular blind crime fighter in Daredevil (2003), and Superman TV star George Reeves in the drama Hollywoodland (2006). The epic superhero team-up Justice League is expected to bring together DC Comics most popular characters Batman and Superman, as well as Green Lantern, Wonder Woman and The Flash to defeat the world’s greatest threat. Warner Bros. bought DC Comics in 2009, folding the comic book company into the studio and re-launching it as DC Entertainment to better manage how its characters wind up on the big and small screens. The CW will air Arrow, based on the Green Arrow character this fall, but the studio hasn’t greenlit any new films since Man of Steel, which bows summer 2013. Other pics based on Wonder Woman and The Flash also are in development, but are only in script stages.